This creatively designed toy store WordPress theme is the perfect solution if you want to build a professional looking, clean, robust, reliable and multipurpose website without concerning about your coding skills and programming knowledge. Its unique layout with the backing of Bootstrap will give your website a strong online base to get an easy and sweet success for your business. It is packed with amazing features and functionality making your website every bit modern and advanced. It comes with so many layout options along with numerous styles for header, footer, sidebars and gallery that you will never run out of ideas to design a beautiful website. This toy store WordPress theme is fully responsive, cross-browser compatible, multilingual, SEO-friendly, social media linked and supports RTL writing. With unlimited options available in its colour palette, you can colour the website with vibrant and energetic colours to reflect the enthusiasm of a kids’ store. Each and every element of this theme can be customized through theme customizer to give it a personalized touch and feel. It has various sections like gallery, testimonial, subscriber’s form etc. and every section has option to hide or show it. 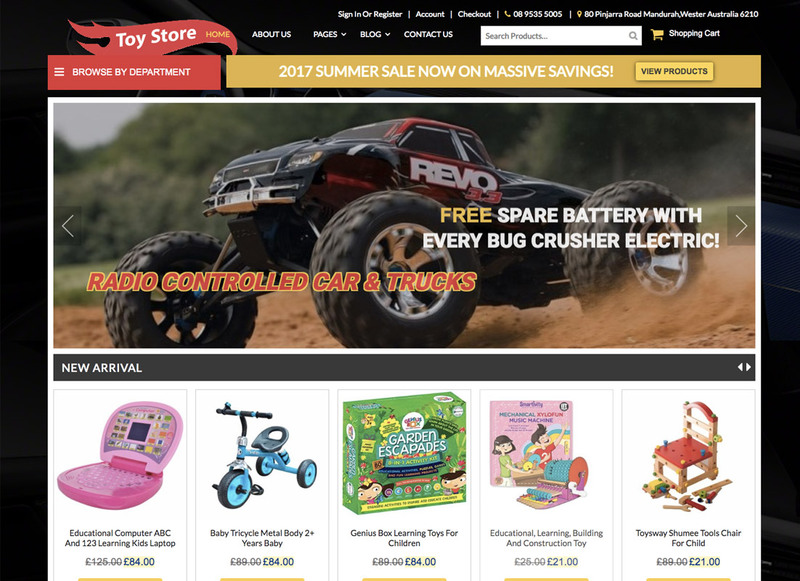 With this toy store WP theme, customers are provided with premium membership which includes dedicated customer support and regular theme updates.